1 small container Greek yogurt – Greek yogurt is a type of yogurt that has been strained, giving it a firmer consistency. 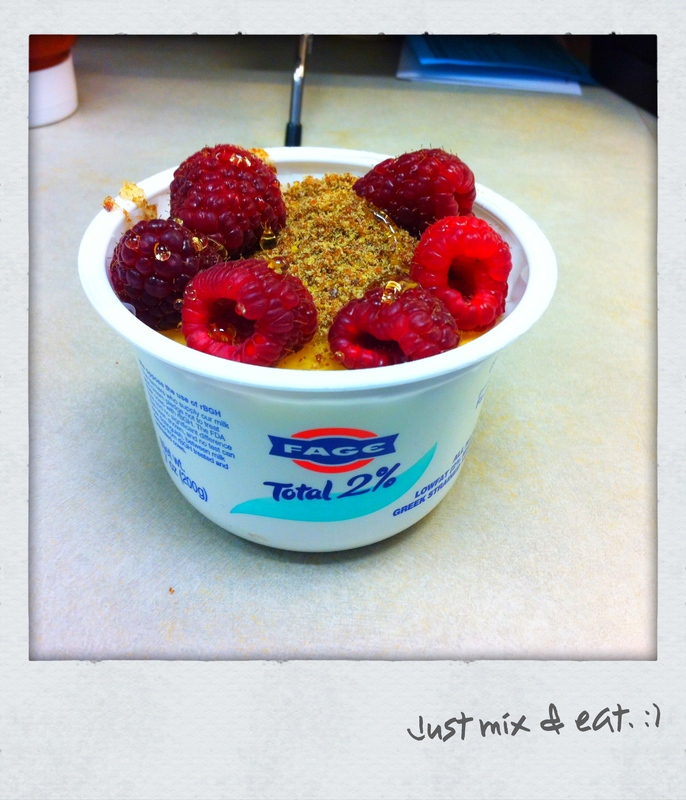 It is also higher in protein and lower in carbohydrate than non-strained “traditional” yogurt. The brands I like are Fage or Chobani 2%. I really tend to limit my dairy intake, but Greek yogurt does not give me any digestive issues. You can also use coconut yogurt if you prefer. 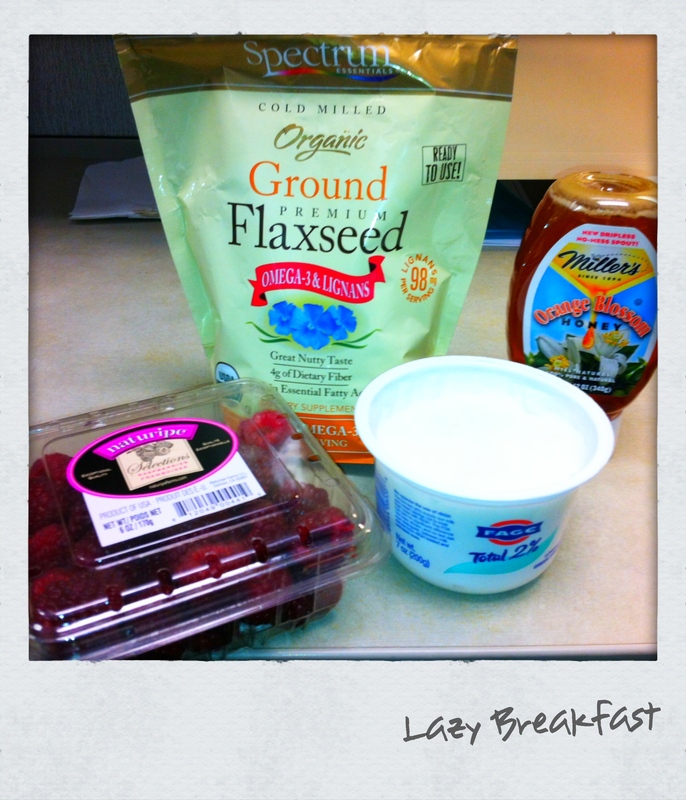 Ground Flaxseed – High in fiber and Omega-3. The taste reminds me of ground almonds. Very inexpensive to buy as well. I can find a container at the local Ethnic grocery store for about $2.50. This Spectrum package was $4.00 and will last me a very long time. Honey – Normally I’ll buy from a local beekeeper that sells at my neighborhood farmer’s market, but I didn’t get a chance to get to the FM over the holidays. Miller’s is a good brand though and local to me. I bought this at a nearby health foods store. Fruit – Use whatever fruit you want. I had raspberries on hand. Bananas are great in this, especially with a little bit of PB2 powdered peanut butter mixed in.